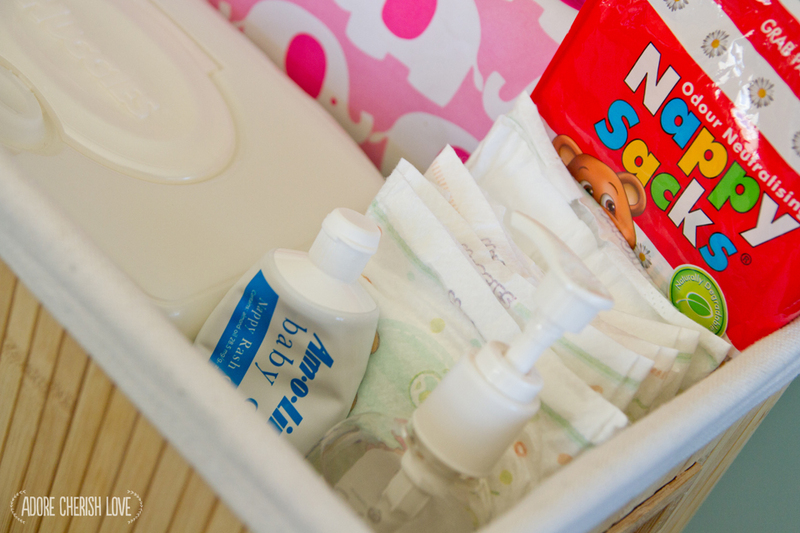 I have an awesome nappy changing station set up in our nursery but sometimes I don't feel like walking all the way into the nursery to change Lilly - especially late at night! I decided to put together a little nappy changing caddy which I move around the house depending on where we are. Sometimes I put it at the top of Lilly's bassinet which we wheel around the house, but most of the time it lives on our couch - easy access throughout the day! We have honestly only changed Lilly maybe 5 times in her nursery haha. I also bring this into our bedroom at night so that I can change her on the bed without even having to get out from under the sheets - bliss! So what do I have in the caddy? Singlet and onesie just in case there's a poo explosion! 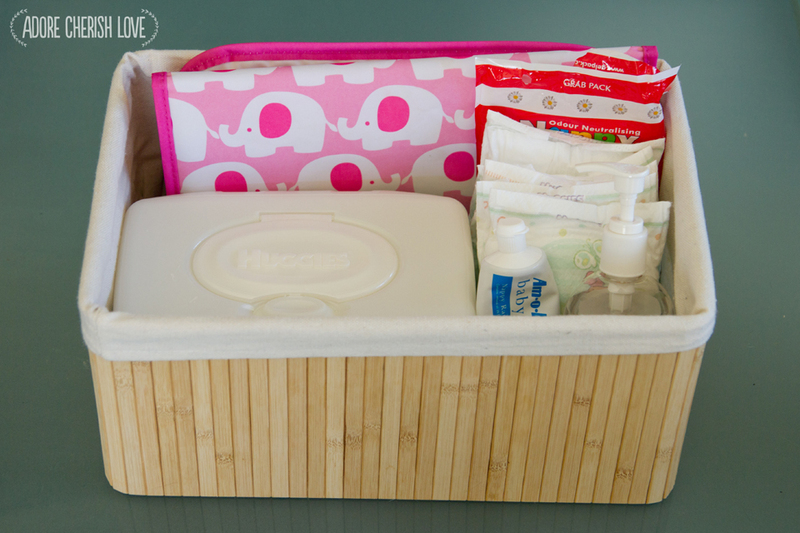 This caddy makes life just a little bit easier - I'd love to know what neat little things you do to make life a little easier with a little baby in the house?